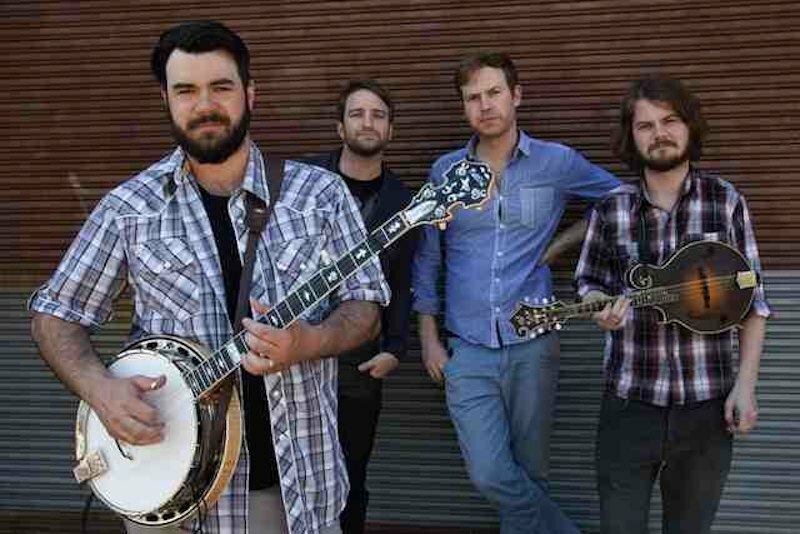 Mustered Courage and Davidson Brothers have been selected to showcase at this years Bluegrass Ramble as part of the 2014 The International Bluegrass Music Association (IBMA) conference. The Bluegrass Ramble is an innovative series of showcases that will take place at select venues throughout downtown Raleigh, North Carolina during IBMA’s World of Bluegrass 2014 event, September 30 – Oct 4. Barbwire, Becky Buller, Compton & Newberry, Constant Change, Darin & Brooke Aldridge, Davidson Brothers, Donna Ulisse, Driven, Flatt Lonesome, Helen Highwater Stringband, Irene Kelly, Jeff Scroggins and Colorado, Jim Lauderdale, Monroe Crossing, Moore Brothers Band, Mr Sun, Mustered Courage, New Country Rehab, Newtown, Rebecca Frazier and Hit & Run, Red June, Sister Sadie, Special Consensus, The Barefoot Movement, The Danberrys, The Earl Brothers, The Grass Cats, The Lonely Heartstring Band, The Railsplitters and The Rigneys. This year, we had more applications for Bluegrass Ramble showcase opportunities than ever before, and our selection committee has done an outstanding job. The quality – and breadth – of the artists chosen to appear are at an all-time high. I believe that every one of them merits the attention of the industry, and I know that audiences attending their performances around Raleigh are going to find a lot to enjoy – Jon Weisberger, IBMA board chair. In addition to these “official” showcase performers, artists will also be added to the Bluegrass Ramble via sponsored shows at the venues. The IBMA is also providing privately hosted “After Hours Showcases” (Tuesday – Saturday) as well as the new Friday and Saturday “Wide Open After Hours” showcase format, affording numerous opportunities for bands to perform at sanctioned IMBA events during World of Bluegrass 2014. The full Bluegrass Ramble schedule will be available in the coming months. In response to IBMA member feedback, an additional showcase stage will be set in the Raleigh Convention Centre, which will provide the opportunity for attendees to see all official showcase bands under one roof during the course of three days. A welcome addition to the Bluegrass Ramble this year is a dedicated transportation system with extended hours, running non-stop between hotels and showcase venues. Provided by the city of Raleigh, the Ramble-dedicated transportation will be available Tuesday, Wednesday and Thursday during World of Bluegrass 2014, from 7 pm – 2 am. Admission to the Bluegrass Ramble is available to both IBMA Business Conference attendees (with ID) and to the general public via Bluegrass Ramble showcase wristbands. For additional details on the Bluegrass Ramble – and for tickets and registration for all events connected with World of Bluegrass 2014 – go to www.ibma.org/world-of-bluegrass. Those interested in co-sponsoring a Bluegrass Ramble showcases may contact Nancy Cardwell at IBMA: (615) 256-3222 or 888-GET-IBMA or by email at nancyc@ibma.org. IBMA’s World of Bluegrass event, an annual bluegrass music homecoming, consists of four parts: the IBMA Business Conference, September 30 – October 2, the 25thAnnual International Bluegrass Music Awards, scheduled for Thursday evening, October 2, the Wide Open Bluegrass Music Festival, October 3-4 (which includes both free stages and ticketed performances) and the Bluegrass Ramble, an innovative series of showcases, taking place September 30 – October 2 in downtown Raleigh and at the Raleigh Convention Centre. IBMA – the International Bluegrass Music Association – is the professional trade organisation for the global bluegrass music community. The organisation’s three-year stay in Raleigh is the result of a partnership with The Greater Raleigh Convention & Visitors Bureau, PineCone—The Piedmont Council of Traditional Music, the City of Raleigh and a local organising committee.